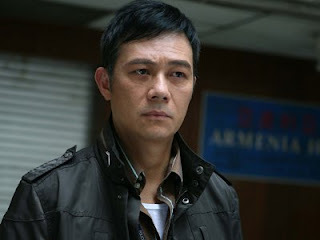 Tired, injured, but still filming, TVB actor Eddie Cheung recently hinted at his displeasure of working on the upcoming drama, "Sniper Attack 2013". As reported on Jayne Stars website, Eddie, who recently injured one of his ears during an explosion scene, might have fully recovered from the said injury, but his body is still not in the best of shape. The actor expressed, "I think I've caught a cold. I haven't been feeling 100 percent well. Since the production is coming to an end soon, my rundown sheet is packed." Eddie revealed his jam-packed filming schedule, stating, "I started filming location scenes today at 6 in the morning. It will be nonstop filming until 7pm, when I continue to film some studio scenes. That will keep going until 9am the next morning, when I will go do some location shoots again. That will last all the way until night too. It is thirty hours in a row. Filming movies are not as laborious." The actor then added in afterthought, "They don't care about [us]. It is all about getting the mission done. How will anything good come out of it?" Produced by Kwan Wing Chung, "Sniper Attack 2013", also stars Kathy Chow, Michael Tse, Alice Chan, and Eliza Sam.